How is it already July?! I can't believe that this year is already half way over with! Crazy! 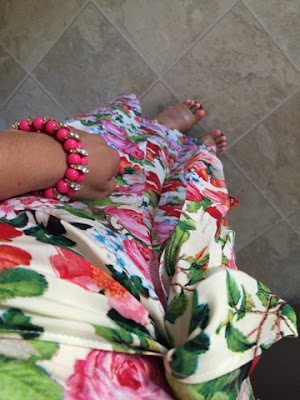 Today, I am sharing a look that I wore to church this past Sunday! 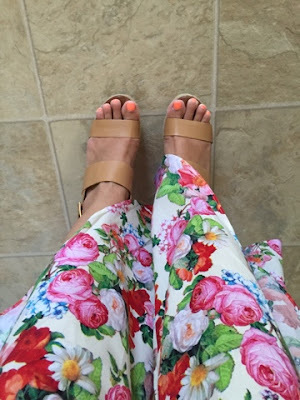 How perfect are these tulip print pants from Forever 21 for the summer?! I love the vibrant colors and the lightweight material. Plus, it has sarong style front which gives it a layered look and is perfect for these hot summer days! I paired mine with a white tami and coral cardigan. I also, wore these (most comfortable) wedges ever because of the length of the pants on me (short leg issues!) On a side note, how gorgeous are my mom's hibiscus flowers?! 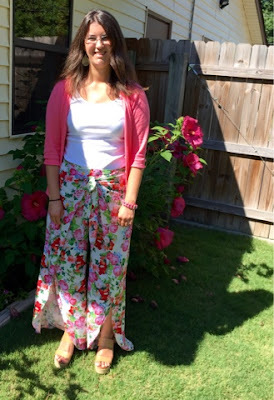 I have linked some more summery floral pants in the widget below! Thanks so much for stopping by!